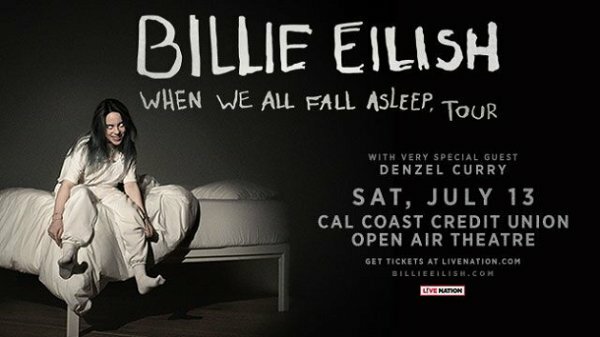 Billie Eilish is bringing the W hen We All Fall Asleep, Tour to Cal Coast Credit Union Open Air Theatre at SDSU on Saturday, July 13th. Tickets on sale at 12pm on Friday, February 8th. Get tickets at livenation.com .